On March 22, the U.S. State Department and Treasury sanctioned 31 Iranian entities and individuals linked to the Organization of Defensive Innovation and Research, also known by its Persian acronym, SPND. The organization was founded by Mohsen Fakhrizadeh, who allegedly headed Iran’s pre-2004 nuclear weapons program, in 2011. “SPND has employed as many as 1500 individuals – including numerous researchers associated with the Amad plan, who continue to carry out dual-use research and development activities, of which aspects are potentially useful for nuclear weapons and nuclear weapons delivery systems,” according to the State Department. The designations serve as a “warning to individuals and entities considering dealing with the Iranian regime’s defense sector in general, and SPND in particular: by engaging in sanctionable activity with designated Iranian persons, you risk professional, personal, and financial isolation,” said the Treasury. The following is the full text of the State Department announcement and Treasury press release. 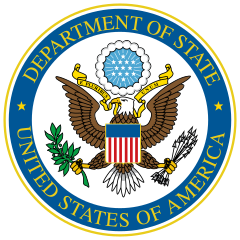 OFAC designated an additional 10 entities whose research and activities benefit SPND. Sheikh Baha’i Science and Technology Research Center works on radiation and applied physics for SPND.